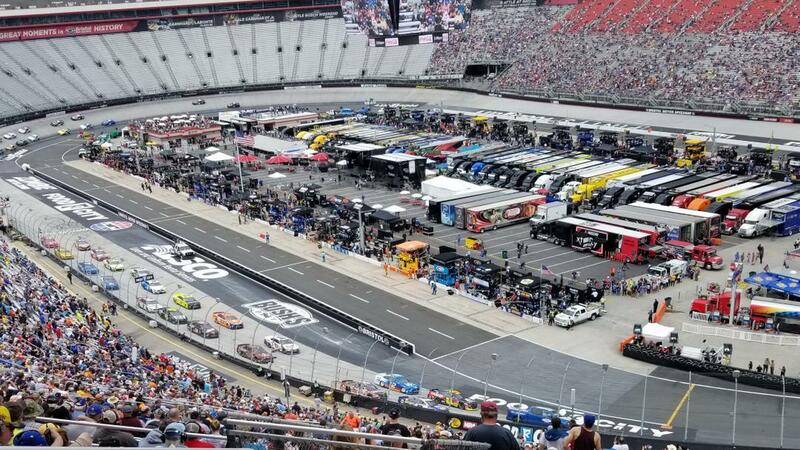 There were two big-league auto races conducted at the weekend, the NASCAR race at Bristol and the IndyCar race near Birmingham, Ala. For a full report on the stock car race, please click here. For one on the Indy cars, please click here. Told he was being summoned to the NASCAR trailer, the Penske driver snapped, “”Yeah, I’ll meet with them and I’m sure I’ll be fed a line of crap.” You can read more about that here. I hear the IndyCar Series had a race down in Alabama. I won’t pay another cent to Rogers so I didn’t watch it on the TV Channel Sportsnet World or the computer channel Sportsnet Next-plus. I get all the releases from IndyCar, however, so Takuma Sato won with Scott Dixon second and Sebastien Bourdais third. 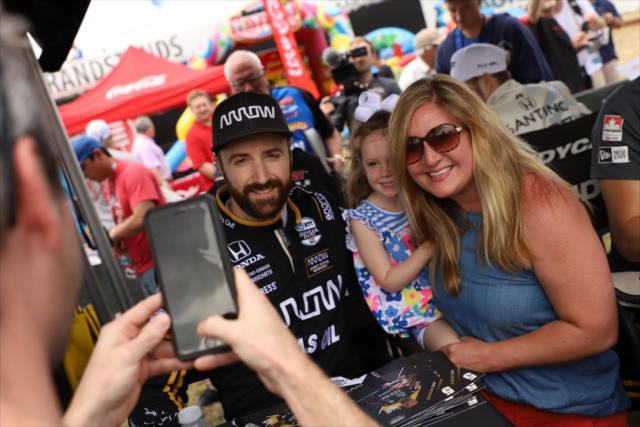 Our James Hinchcliffe was fast all weekend but could only finish sixth in the race. He’s showing signs of peaking, though, so Long Beach and the two races at Indianapolis are coming up and I think James could be a factor in all of them. Let’s hope so, anyway. IS NASCAR IN THE TWILIGHT ZONE? OR IS IT ME? They are bringing the 1960s show Twilight Zone back to television but when I read about the new and improved NASCAR schedule for 2020, I could swear that I was already in it. NASCAR called their announcement of the 2020 schedule “significant and dynamic” and for the life of me I can’t see what’s different. So, they moved some dates and some tracks around. Big deal. The biggest and most important race on the entire schedule is the Daytona 500 and it’s still there, first. The Word 600 (the Coke Zero? Is that what they call it?) is where it’s been for years and years – still on the same day as the Indianapolis 500 in late May. The Chase for the Championship 10-race playoff still kicks off on Labour Day weekend. There are still 36 races on the schedule and 33 of them are still round-and-round-and-round-and-round oval-track races and it’s 2019 now and it will be 2020 when this schedule kicks in and when will anybody in that organization get it into their heads that round-and-round-and-round-and-round is BORING. Where is Canadian Tire Motorsport Park on this new and improved schedule? Where is Road America? I mean, REALLY! The races are all the same length (that’s why they invented the stages, you know; to pretend there were really three races in one but nobody fell for it and that’s another reason why fewer people are watching on TV (see item below for more on that) and fewer and fewer people are actually showing up at the tracks (I could not believe how few people were in the grandstands at Bristol on Sunday. That place used to be jam-packed. 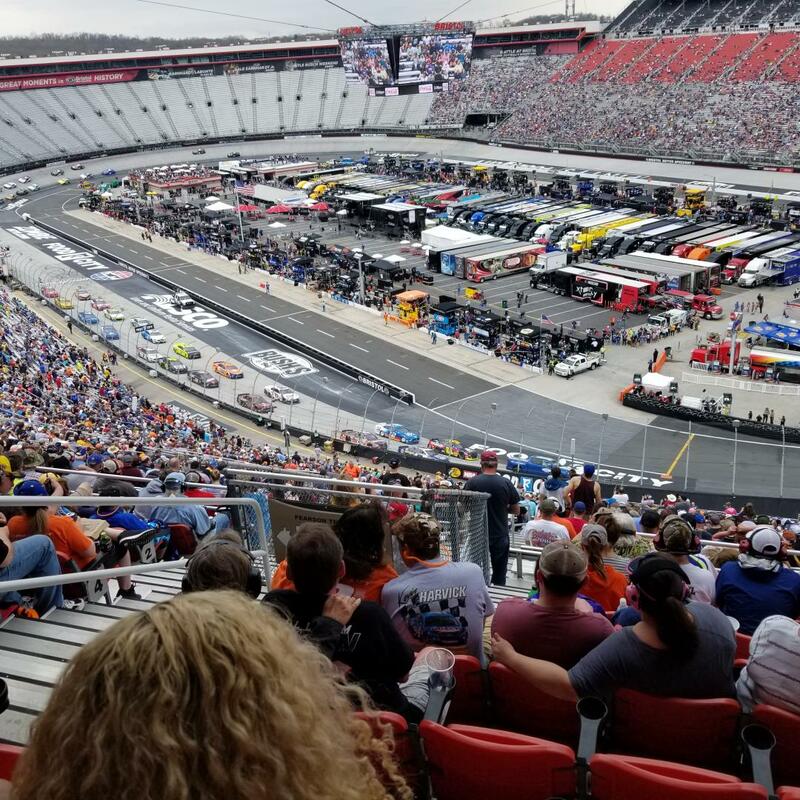 The opening of the little kid movie CARS – the first one – took place there and it was at Bristol for a reason: you could barely get into the place. “GOOD GOD ALMIGHTY! What happened?). One of the reasons they have such trouble coming to grips with reality is because NASCAR and its people never did anything original. So they don’t know how to shake things up. Tony Stewart started climbing the fence when he won races after Helio Castroneves did it. The winning NASCAR drivers started doing donuts after Alex Zanardi did them. They have a two-week break in the schedule in 2020 and that’s because Formula One showed them the way with Summer Vacation. And they are promoting a double-header at Pocono in June – Saturday and Sunday – after IndyCar’s been doing it for years with success in Detroit in particular. The only original thing that ever happened was Alan Kulwicki’s Polish victory lap and he was the only one who could do it because he was the only driver who was Polish. I knew things were under review. I also knew they were going in the wrong direction when I had a conversation at CTMP last year when the trucks series was there and Jeff Burton went on and on about how NASCASR had to be careful not to alienate their traditional fans and their traditional partners. After that interview, I wrote that I had news for him: their traditional fans are all 80-year-old men and can’t get to the races any more and they fall asleep watching them on TV (which lets their wives change the channel); and their traditional partners are themselves because NASCAR and the International Speedway Corp. (owners of most of the tracks) are owned by one and the same people, the Frances. Bruton Smith might get upset but so what? The people in charge of NASCAR are riding the Titanic right smack-dab into an iceberg and are doing nothing to change course. When it sinks, they are going to have no one to blame but themselves. 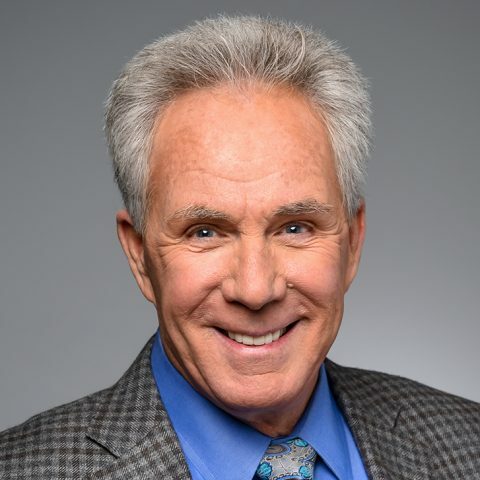 When I heard that Darrell Waltrip planned to stop colour announcing of NASCAR Cup races as of the conclusion of the FOX portion of the 2019 Monster Energy season, the first thing I thought was that Randy Nicholson of Woodstock, N.B., might be able to start calling his souvenir store “Boogity Boogity Racing” again. Everybody knows that Waltrip – a man that I have great admiration for, by the way – uses the expression, “Boogity, boogity, boogity – let’s go racing, boys ” at the start of Monster Energy races. He trademarked the expression in Canada in 2005 and his lawyers threatened to sue Nicholson in 2010 if he didn’t change the name of his store, which had been in business since 2001 and was also registered. Anyway, I figure since Waltrip won’t be announcing any longer, and won’t be using that expression on TV at the start of Cup races as a result, that it shouldn’t matter to him if Nicholson, or anybody else, for that matter, uses it. If he still has plans for it – a chain of country and western theme parks, perhaps – then maybe he could licence it to Nicholson for, say, a Canadian dollar. I can’t see ol’ DW building one of them old theme parks in Woodstock, New Brunswick, can you? Waltrip made friends with Ralph Emery who had a talk show on the Nashville Network (those really were great days) and when Ralph would take a night off every now and again he’d ask DW to sub for him. Waltrip did a great job, always remembering to plug whatever series or race was going on. When he first decided to try to move up to Winston Cup, he did something that I have frequently suggested that other young drivers without a lot of money or sponsorship do: he bought his own car. In fact, just recently at the Canadian International Auto Show, I did an interview with young Canadian racer Parker Thompson, who was having trouble raising the budget for a Road to Indy program. I suggested that Thompson buy his own car instead of paying some guy a million dollars to prepare one for him.. Since then, he’s landed a U.S. GP3 Porsche ride but he could still do what I suggested, and what Waltrip did, if he wants to continue in single-seaters. In any event, in 1972, Waltrip purchased the Ford from Holman & Moody that Mario Andretti drove to victory in the 1967 Daytona 500 and went racing in Cup. It was hand to mouth, though. He didn’t win a race till 1975 and later that year he got his first paid ride as an employed driver with the DiGard team. At various times during his career, he formed his own teams but his greatest successes came when he drove for others. I have a personal, fond memory. When the ASA stock cars ran a special show at my favourite U.S. short track, Oswego Speedway (Home of the Su[ermodifieds) in northern New York in the early 1980s, Waltrip, Bobby Allison and Joe Ruttman were the special guest racers. (Young Kulwicki, Mark Martin, Bob Senneker, et al, were all driving in the ASA at that time.) Waltrip agreed to run a few laps against supermodifed ace (and ex-1970s Indycar driver) Bentley Warren in the sister car of Ed Bowley’s Flyin’ 5 super out of Tewksbury, Mass. Warren won, of course, but Waltrip got off some great lines in the interview afterward. And that’s what made DW great. He never stopped promoting and marketing the sport he loved. For the last 19 years, he’s been on TV alongside play-by-play man Mike Joy and another analyst, Larry McReynolds. Retired racer Jeff Gordon joined up in 2015. Now, Waltrip has always been a guy who was ahead of the curve. A marketer before other drivers even heard of the term, he always knew when to pack up his tent. He left the cockpit while he was still competitive – nobody fired him – and moved into a broadcasting career that fit him like a glove. The question has to be asked, however: did he hear footsteps? I would have thought if he was thinking of leaving it would be next year when he could have marked off 20 years behind the microphone. Twenty has a nicer ring than 19. So did he take the initiative and decide to move on before Fox tapped him on the shoulder and told him to go? I have always maintained, for instance, that it’s always better to resign before you get fired. So is that what happened here? If so, perhaps NASCAR and Fox have decided that in order to reboot stock car racing on TV, they have to give some of the old timers in the booth the boot. There are a lot of young racers on the speedway these days and a lot of old guys on the air talking about them. Maybe surveys have shown that it’s time for a broadcasting youth movement. If so, perhaps Joy and McReynolds should be thinking about making a graceful exit as well. Whatever, I will miss Waltrip. He was engaging, enthusiastic, funny and interesting. After Dale Earnhardt died, he was adamant on the air that NASCAR had to do something about the skull fractures that were killing race drivers. Before long, NASCAR mandated the use of the HANS device. For this and other things, he was nominated for an Emmy in sports broadcasting. You can’t be – or do – any better than that. I can hardly wait to see what he’ll be up to next because, rest assured, Darrell Waltrip isn’t finished. Hey, maybe he’ll go into the souvenir business with Randy Nicholson. Whatever, it’ll be interesting. 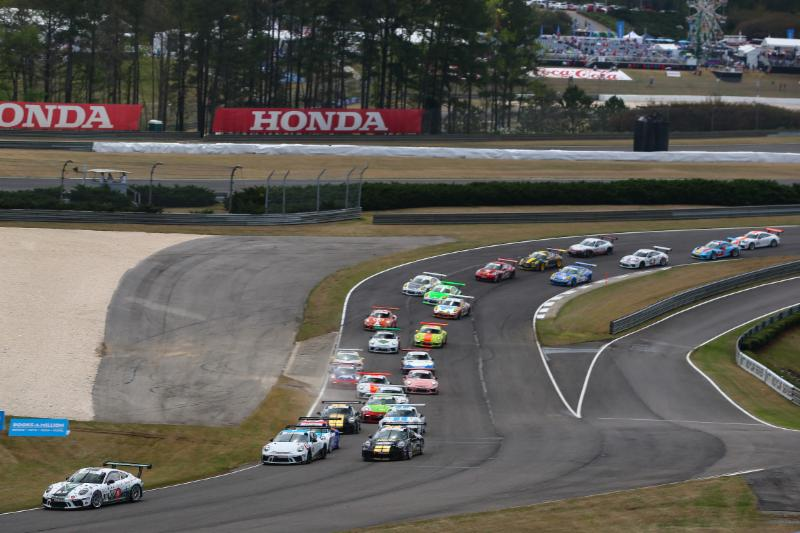 HOT LAPS: Canadians dominated the opening rounds of the 2019 Porsche GT3 Cup Challenge USA by Yokohama at Barber in support of the IndyCar race. Roman De Angelis of Windsor (Belle River, actually) won both races from pole.Parker Thompson of Red Deer, Alta., finished third both days while Jeff Kingsley of Toronto was fourth Sunday and fifth Saturday. Next up for the Porsche GT3 Cup Challenge USA by Yokohama is a pair of races at the Mid-Ohio Sports Car Course on the weekend of May 3-5 as part of the IMSA WeatherTech SportsCar Championship Acura Sports Car Challenge at Mid-Ohio. . . . . .
Replicating what his former teammate Ryan Preece did a year ago, Christopher Bell won Saturday’s NASCAR Xfinity Series race at Bristol Motor Speedway and collected the $100,000 Dash 4 Cash bonus to boot. Bell didn’t dominate the Alsco 300, but he pounced when it came down to crunch time, passing Brandon Jones with 18 laps left and driving away to victory by .906 of a second over Tyler Reddick. Quebec teen racer Raphaël Lessard drove from his 17-place starting position to finish seventh in the NASCAR K & N Series race at Bristol. The 14th round of Monster Energy AMA Supercross was held before 54,703 fans at Nissan Stadium in Nashville Saturday night and Monster Energy Kawasaki’s Eli Tomac rode flawlessly to earn his fourth win of the season. David Arthur Elcomb, a CASC steward and a founding member of the Vintage Auto Racing Association of Canada, has died. He was 88. The family will host an Open House at the Church of the Epiphany, 96 Main St W, Kingsville, on May 8, from 2-4 p.m. The last Hoosier Hundred to be held at the storied Indiana State Fairgrounds mile track in Indianapolis will be held this year on May 23, three days before the Indy 500. From 1951 to 1971, the road to Indy was on the dirt miles at places like the New York State Fairgrounds in Syracuse and Langhorne Speedway in Pennsylvania and the Arizona State Fairgrounds in Phoenix. And, of course, Indianapolis. When the checkers fall on the 23rd, there will just be two mile tracks left, both in Illinois, in Springfield at the state fairgrounds and DuQuoin downstate. I don’t know why they can’t coexist but the Indiana horsemen have convinced the State Fair people that the dirt has to go and an all-weather surface put down that will allow harness and other horse racing to go on there almost year-‘round. I know where I’ll be on the 23rd and I will write more about those glory years as we approach that date. Finally, Mike Salinas picked up his first career NHRA win Sunday at the 20th annual DENSO Spark Plugs NHRA Four-Wide Nationals at the Strip at Las Vegas Motor Speedway, becoming the 107th winner in Top Fuel history. J.R. Todd(Funny Car), Bo Butner (Pro Stock) and Hector Arana Jr. (Pro Stock Motorcycle) were also victors in their respective professional Mello Yello Drag Racing Series categories.